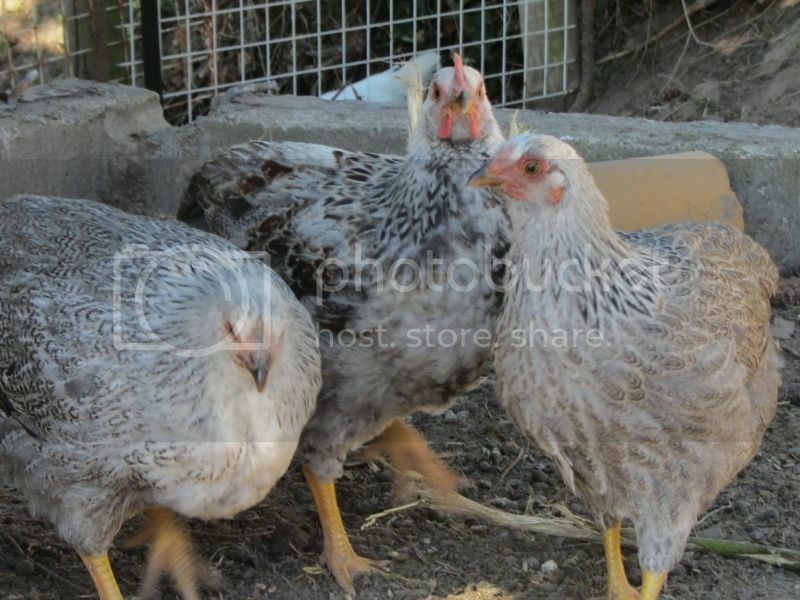 Do you need information on incubation, hatching or raising? Post here! Wild type chicks... what breed? One of almost everything, a veritable rainbow of chickens. And Project Motzle. seatil - that will be an explosion - what's the incubator? 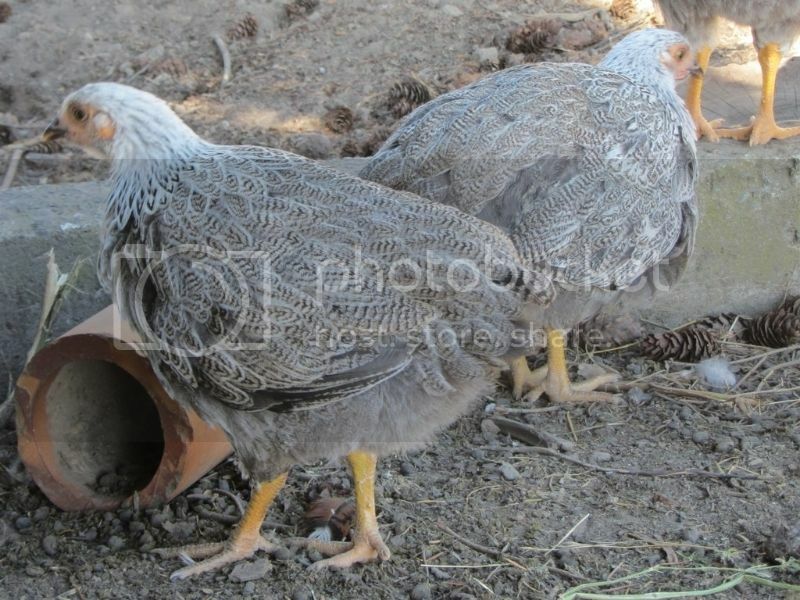 They are large breed silver pencilled wyandottes, so I am quite excited to see how they feather up! And it was a bit traumatic getting them to this point - first time broody who accidentally crushed 4 of the eggs, and 3 of the eggs had large and odd shaped air sacs because I put the eggs under before the air sacs had settled fully (lesson learned with posted eggs!) Luckily ChickyMum lent me her incubator as a backup after I found the first crushed eggs, so I only lost 2 of the 8 eggs through all of those problems - two of the crushed eggs survived and hatched in the incubator with a damp kitchen roll on them (one with a bit of help) and one of the ones with the dodgy air sac needed help because it had got through the membrane but couldn't get to the shell to pip and unzip. So after all that I think I am done with hatching for the season!! Although I was actually wanting to put some ducks eggs under this broody but couldn't find any locally, so if the stars align I might give ducks a go, but it will probably wait until spring. Kracka wrote: :lol: seatil - that will be an explosion - what's the incubator? Brinsea Ova Easy 100 with humidity pump. Nice "little" thing. Dead easy and stress free so far. Another couple of weeks to go on the eggs in it though, including 24 posted eggs and as many large breed frizzle eggs as I could muster from our lot (got a waiting list on pullets at the moment). sewren wrote: They are large breed silver pencilled wyandottes, so I am quite excited to see how they feather up! And it was a bit traumatic getting them to this point - first time broody who accidentally crushed 4 of the eggs, and 3 of the eggs had large and odd shaped air sacs because I put the eggs under before the air sacs had settled fully (lesson learned with posted eggs!) Luckily ChickyMum lent me her incubator as a backup after I found the first crushed eggs, so I only lost 2 of the 8 eggs through all of those problems - two of the crushed eggs survived and hatched in the incubator with a damp kitchen roll on them (one with a bit of help) and one of the ones with the dodgy air sac needed help because it had got through the membrane but couldn't get to the shell to pip and unzip. Sounds like a stressful couple of weeks. Good results in the end by the sounds of things. sewren wrote: So after all that I think I am done with hatching for the season!! Although I was actually wanting to put some ducks eggs under this broody but couldn't find any locally, so if the stars align I might give ducks a go, but it will probably wait until spring. I shipped some duck eggs to Invercargill (from Whangarei) around the end of November to someone that couldn't find anyone anywhere willing to ship silver appleyard eggs. Apparently all bar one hatched. That was one happy customer. seatil wrote: I shipped some duck eggs to Invercargill (from Whangarei) around the end of November to someone that couldn't find anyone anywhere willing to ship silver appleyard eggs. Apparently all bar one hatched. That was one happy customer. Ooooh - it's silver appleyards that I want! Might have to see if you have any available next time I get a broody!! Standard sized Silver Pencil Wyandottes aren't very common? Don't think I've ever seen them! Ooh, silver pencilled is one of my favourite markings.... please post pics as they get older Glad the initial drama didn't continue and you ended up with a good number of chicks. Kracka wrote: Standard sized Silver Pencil Wyandottes aren't very common? Don't think I've ever seen them! Yeah, Cyd (who is a member here but I haven't seen her around for a while) has been working for years to breed the heavy breed version, as far as I understand it. I've been excited about this breed for about 3 or 4 years now, so I am stoked to finally get my hands on some! 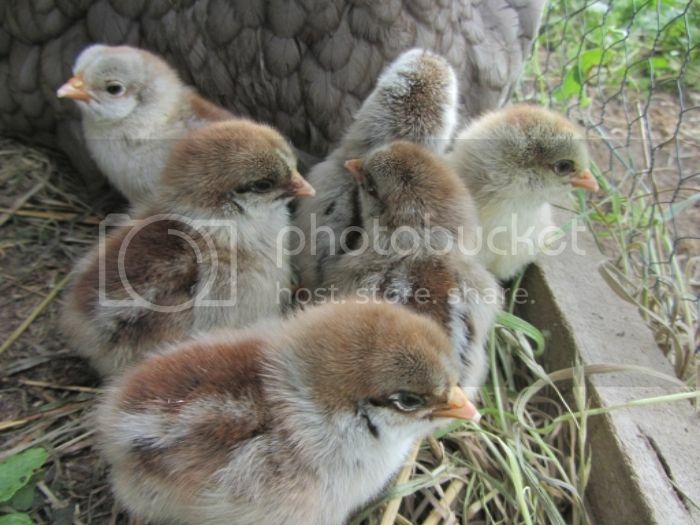 On the chicks - have you ever worked out a way to split boys and girls from their down colour? Would be interested to know if there are any hints! 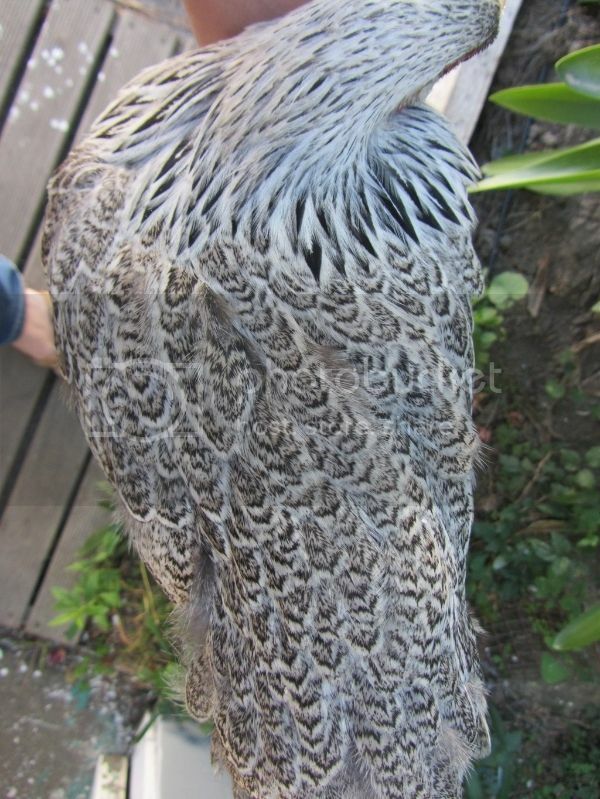 eae wrote: Ooh, silver pencilled is one of my favourite markings.... please post pics as they get older Glad the initial drama didn't continue and you ended up with a good number of chicks. good incubator! you can get into loads of trouble with that! with the Wyandottes, I've got some laced bantam sized ones - they're normally standard sized (someone had a bantam sized one but had to cross it with a standard sized one to at least get some eggs, so these are still a work in progress with regards to size) - but they're not as quiet as Pekin bantams!! not so fond of birds flying over my head in the runs! But they are cute! Pullet:rooster ratio looking better than mine! Out of 50 chicks, I had 19 girls (one of which got tangled in a net, and two did death by poisoning) and 31 roosters. 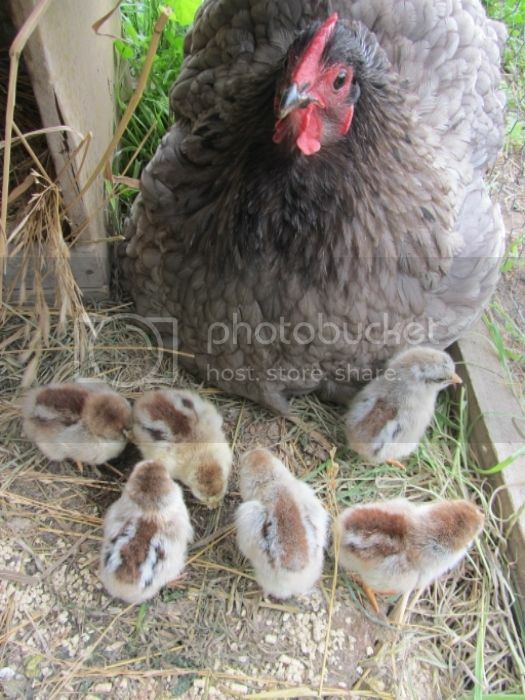 New policy is all unsexed and female chicks get to enjoy the creature comforts of the walk-in pen. Only the obvious roosters get to free range. seatil wrote: Pullet:rooster ratio looking better than mine! got about 40 eggs due to hatch in the incubator starting tomorrow.... what was I thinking!